Steve Duca sent this picture. Steve Duca 1959. 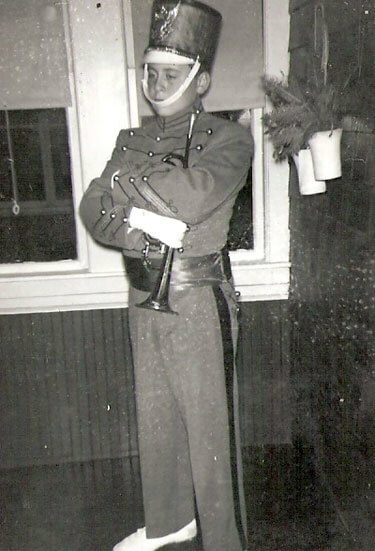 We had just received these West Point uniforms after having been without uniforms of our own after the disbanding of the Hyde Park Crusaders. My Aunt was the only one we knew who owned a camera, so off to her house my mother and I went.